This week's collection tip is focused on advice for collectors making their time as efficient as possible. But outside of the common and overstated tips about time-management, we are going to do some math and show how a little analysis can add to the bottom line. I am not talking about supervisors setting a three minute maximum call time or logging washroom breaks or note entry times. I am also not talking about adding trace scrub processes, or predictive dialers. I am talking about the collectors themselves identifying their own time usage. At the heart of it, a collectors day is a series of repetitive acts punctuated by a handful of key moments that generate revenue. This could be right party contacts, moments of negotiation, or even captured payments over the phone. It should be their personal goal is to maximize those key moments through intelligent work. I have worked with agents that could hammer through 200 calls in a day, and managed an acceptable recovery level, and other agents who made 30 calls in a day, and generated double the revenue of the other collectors -- and what it came down to was strategy, positive habits, and self-awareness. Assuming you have been in your collection role for a while, you have seen moments of success. Hopefully, you are able to identify these positive results, and can see the patterns that create these successes. There are a number of basic things you can watch for. þ Identifying key contact times for inbound and outbound calls. þ Responding promptly to emails and voice mail messages to capture contacts. þ Using authoritative tone to increase the ratio of payments to promises to refusals to pay. 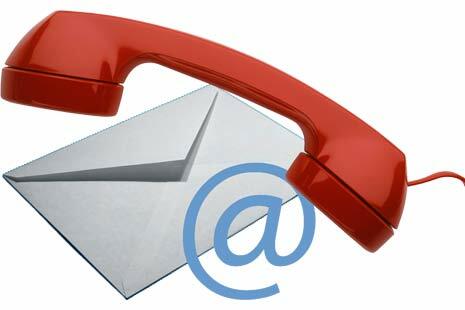 ý Calling a file repeatedly without contact, without verifying the contact numbers. ý Allowing a contact to engage in a cyclical discussion that goes excessively long wasting time. ý Continually calling a file that shows all signs of refusal to pay, or avoiding contact. ý Using weak language that fails to capture payments effectively. ý Using confrontational language that creates refusals to pay, complaints, or escalated calls. Let's take our example average third party collector, Theresa. She makes 100 manual calls a day, on a three business day turnover, and is able to maintain 300 files at any given time. Let's also assume Theresa is assigned 300 new files a month. Of those new files, 50% end up being trace (which she sets aside without working), and 150 end up being active, workable files. So, if Theresa ends up with 20 right party contacts a day out of her 100 calls, and liquidates 25%, she achieves 5 payments on average each day, or 100 payments in any given month. By simply achieving these 5 payments each day, she will liquidate 30% of her forward flow assignments, and 60% of her workable files. If her accounts were an average balance of $300 with a 20% contingency rate, that would generate $6000 commission revenue per month, which is a reasonable achievement. Now imagine she makes 120 calls a day, or improves her calling habits to increase her right party contacts to 24 rather than 20. Assuming she keeps all other things equal, that means she will achieve 6 payments a day and liquidate 40% of her forward flow assignments, generating $7200 commission revenue instead -- she just went from being an average collector to being a good collector. Or, another series of actions could involve Theresa tracing the 150 files each month, and finding 10% of the trace files, for 15 more active files inserted into her work queue, generating another 10 payments a month, totalling a further 3.33% liquidation and $600 commission revenue. Really, how much work was it to go from $6000 to a potential $7800 revenue? This isn't about doubling call levels, this is about reducing or eliminating wasted time for a dramatic improvement in performance. The examples I have provided here a necessarily simple, but there are huge opportunities to be had, by examining original credit applications, reviewing call language, previewing credit bureaus before the first contact, and so on. If you are a fellow credit and collections industry colleague and want to discuss collection techniques, or are a client who want to discuss our approach to collecting debt, which we refer to as the APPRAISE process, feel free to give me a call at 226-946-1730.